Homeless shelters and nonprofits are getting headcounts of the homeless across the country this month. The data goes to the federal government for homelessness prevention. But this year's count in northern Michigan happened to fall on one of the coldest nights of the year. 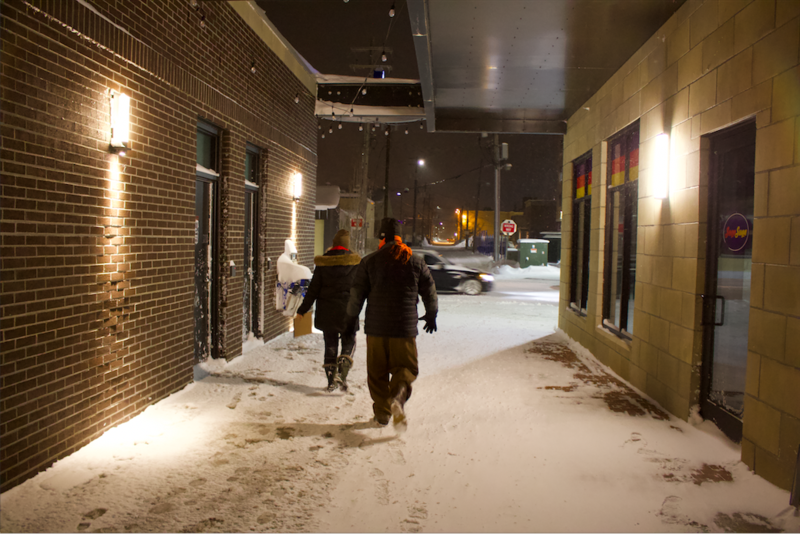 Members of Goodwill outreach search for the homeless in the middle of a winter storm. On Wedneday evening, Ryan Hannon, the Goodwill Industries outreach coordinator, hands his team a list of locations to check for homeless people. The temperature is in the negative teens with windchill, and there is about a foot and a half of snow on ground. “I’m gonna go put six more layers of clothes on," says team member Shelby Durga. Ryan Hannon checks an alley where he has seen homeless people find shelter before. After getting their assignments, the Goodwill team splits up and starts looking all over Grand Traverse County. 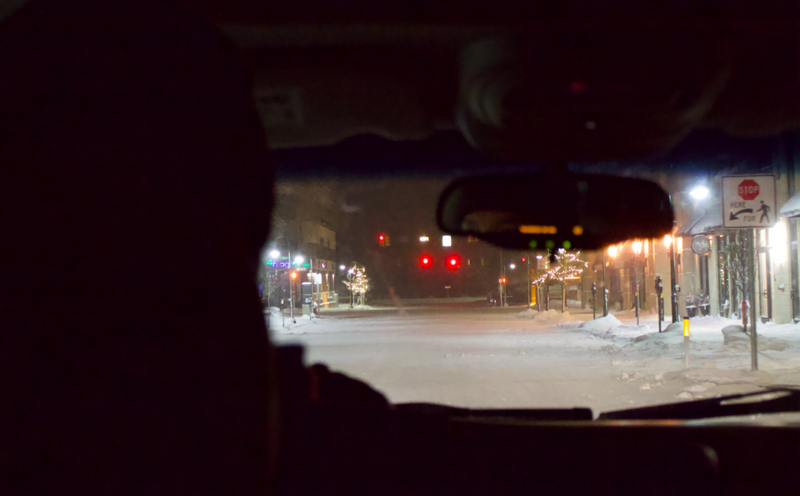 In downtown Traverse City, Ryan keeps an eye out for clues like open dumpsters, foggy windows, footprints into the woods or people carrying grocery bags at night. When he finds a spot where someone may be sleeping, he’s polite. It’s almost like he’s knocking on his neighbor's door. “Hello, anybody home?” Ryan usually says. Tonight, there's not much response. Ryan Hannon keeps an eye out for clues of homelessness. This homeless count is for the U.S. Department of Housing and Urban Development. HUD uses the numbers to figure out funding for future homelessness programs. Ryan started working at Goodwill after he kicked drugs and alcohol. This is his 11th homeless count. “I’ve been doing this so long my eye is drawn to homelessness,” Ryan says. When Ryan sees footprints, he'll stop the car. On Wednesday night, he follows prints under a bridge where he finds someone's shelter. There’s another aspect of this job that’s kind of awkward: Ryan has to figure out whether someone walking on the street is homeless or not. Ryan's solution is to go up to people and say, "I'm homeless outreach." If they're not homeless, he gives them a card and asks them to call if they see anyone that needs his help. That night, Ryan only reports two names. Normally, on these patrols, he’ll count about 20. Ryan says the number is so low because when it’s this cold, homeless people find any way they can to get off the streets. The area shelters and warming centers are counting too. They won’t have a final tally for another week or so.